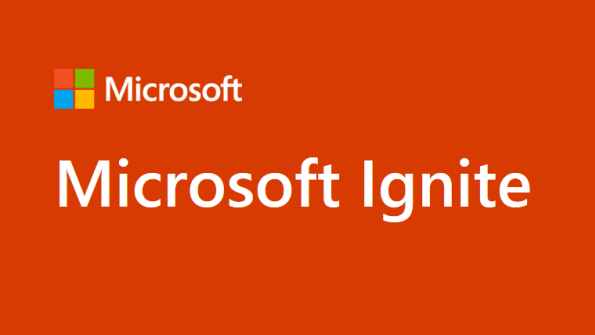 We are excited to be part of Microsoft Ignite this year in Orlando, Florida. The HashiCorp and Microsoft partnership continues to extend and deepen so that we can offer our joint customers and users the best tools for building and running applications deployed on cloud infrastructure. Microsoft kicked off the conference with updates to Azure Stack, mentioning the new HashiCorp Terraform providers that enable Kubernetes deployments. This blog contains product updates from the conference like that, as well as sessions that featured notable HashiCorp content. The first, as mentioned above, were the announced Terraform provider updates for deploying Kubernetes on Azure Stack. Look for those provider updates coming soon here. The second, is the private preview for the Azure VM Image Builder, which is built on HashiCorp Packer. This tool allows you to build, customize, and deploy VM images. Plus, because the tool is built on Packer, you can import existing Packer shell provisioning scripts. Read Microsoft's blog post for more information. This session will discuss Terraform integration with Azure and cover how Azure Stack fits in Microsoft hybrid cloud strategy, and product roadmap. The session showcases some solution patterns Microsoft has to get you up and running with Azure Stack quickly. View the recorded session here. This session teaches you how you can use the Azure Virtual Machine image template service to build, customize, and distribute custom virtual machine images with a few simple calls managed by a service. Plus, it shows how you can integrate this in your existing CI/CD pipeline and get full RBAC and policy control on the image building and manage its lifecycle in future. If you are attending Ignite, come by the Infrastructure as Code section to talk to HashiCorp engineers. To learn more about HashiCorp open source and Enterprise offerings, visit https://www.hashicorp.com.